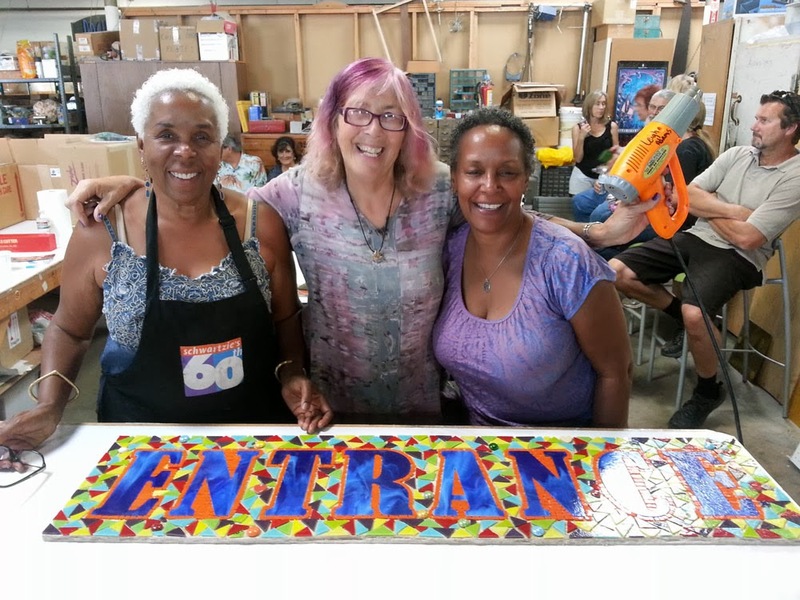 Every year, Pacific Artglass in Gardena, California hosts a spectacular event, GlassFest, a weekend filled with fun, food, demonstrations, prizes, workshops…whew! It’s a glass-lovers’ dream! 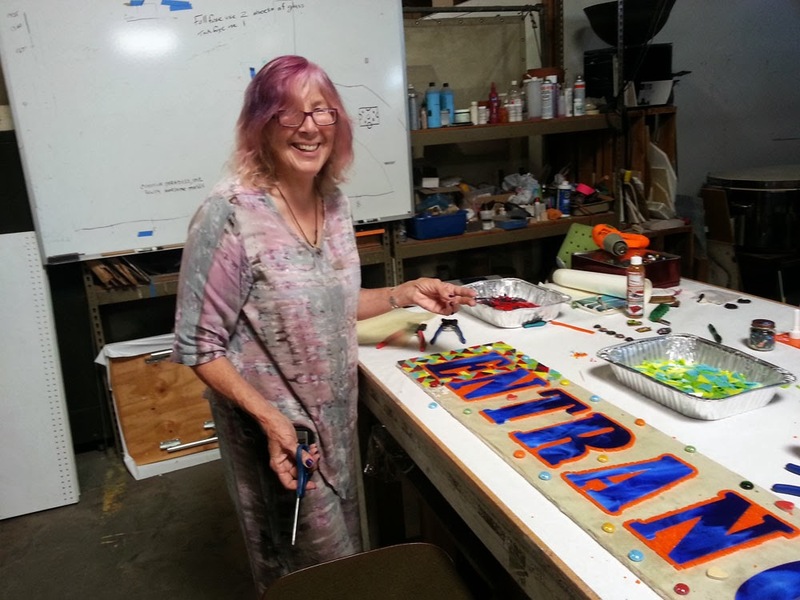 This year, artist extraordinaire, Leigh Adams joined the mix to demo No Days products AND create a new mosaic sign for the entrance of Pacific Artglass using No Days Mosaic Adhesive. 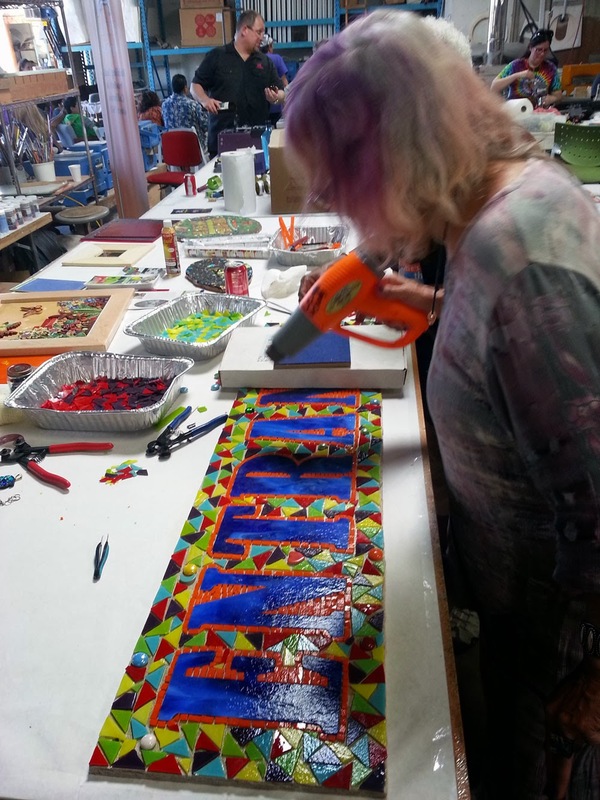 Leigh recruited her “Mosaic Mafia” mosaic fiends to help with her cause. Heat setting the pieces in place and getting ready to grout. 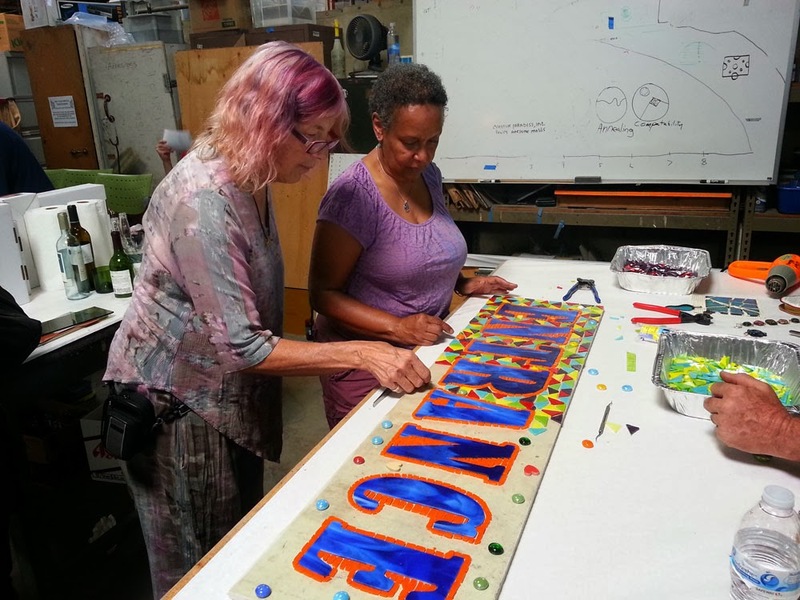 The lovely ladies that made the sign possible! 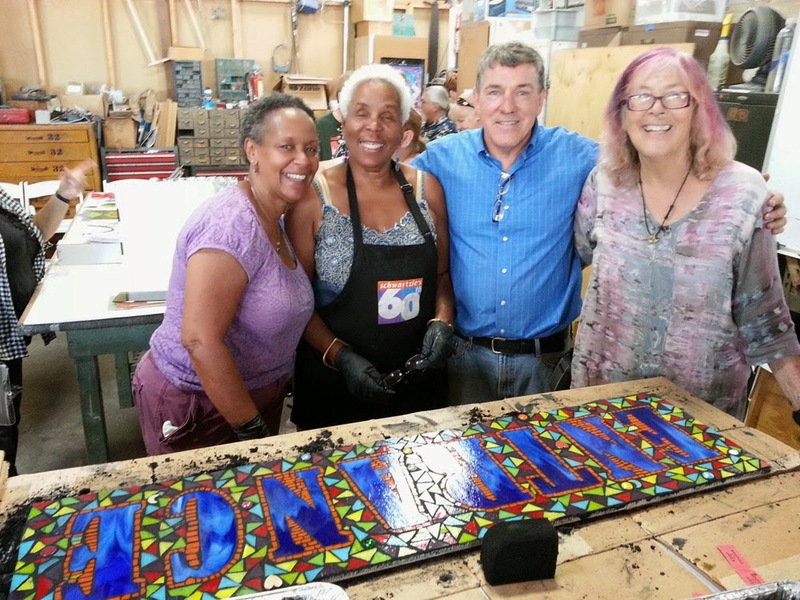 Pacific Artglass’ John Williams lends a smile and a hug.